Adheres to many surfaces: bitumen, lead, galvanised steel and roofing felts. Can be applied in the wet, to wet surfaces, or even under water. 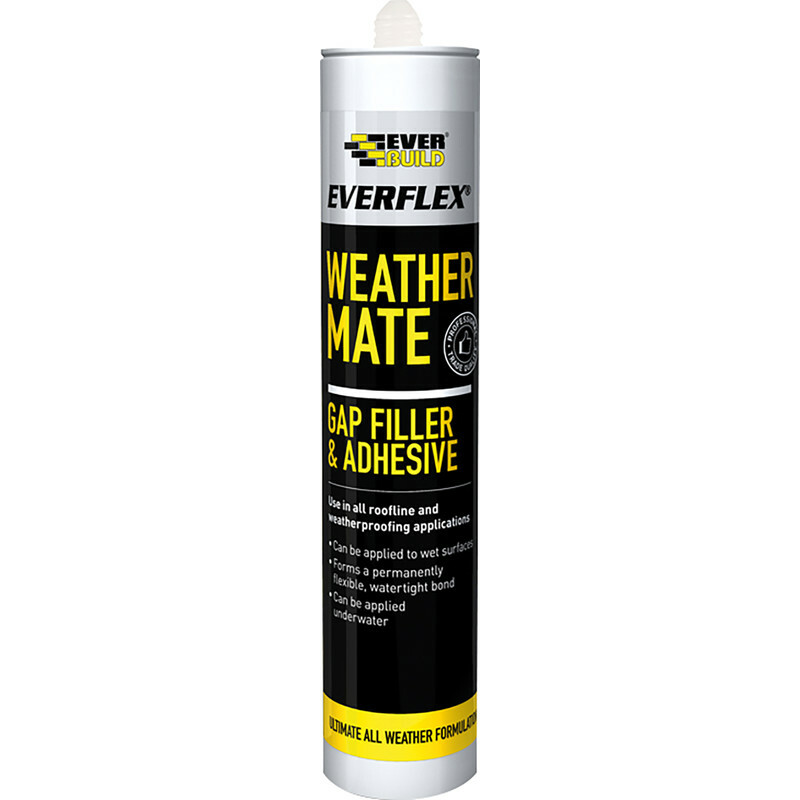 WeatherMate Gap Filler & Adhesive 310ml Black is rated 4.2 out of 5 by 18. Rated 5 out of 5 by ashy1 from great adhesive does just what it says, strong adhesive and can be used when wet good product. Rated 5 out of 5 by AndyinDevon from Works Early days yet but we applied this to the join between roofing felt and fascia board on our new shed. Certainly brilliant at the moment and it seems to have stuck really well. Rated 5 out of 5 by fruitmachine from Brilliant - I've already used multiple times I've just finished the tube after using multiple times - I need to get another one in as it's like having an insurance policy for an emergency fix.